As the Practice Manager, Marcy is responsible for ensuring the Discover Dental dentist office runs smoothly so that the support staff can be focused on patient care and service. Marcy works alongside the doctors at Discover to provide the highest level of service to patients. 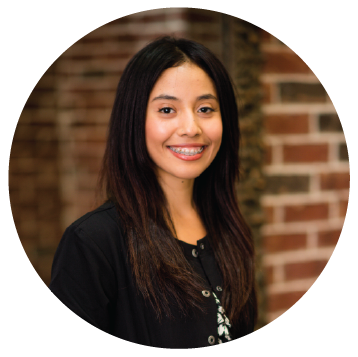 She ensures that all team members are fully trained and that all aspects of the practice are functioning with dental service excellence as the standard of care. Marcy has been committed to patient service for more than 4 years, and when she is not working, you can find her around Houston TX with her family. Karina Prado was a Heights native before she moved to the Klein area in 2005. She received her license in dental assisting in 2014, and currently attends Lone Star College. She’s an avid learner, dedicated to continuing education within her career field. 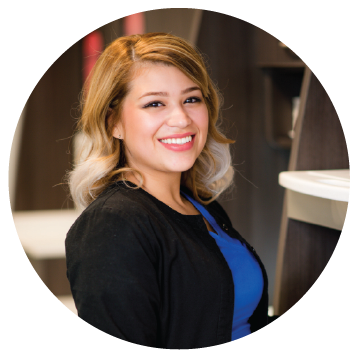 Karina’s favorite thing about being a Dental Assistant is getting to know each patient’s specific needs and helping to meet them with a calm chair-side manner and kind demeanor, as well as helping patients obtain perfect smiles and overall general dentistry health. Outside of work, she loves spending time with her daughter finding adventure and new experiences, in addition to spending great times with her family and friends. Stacy Castro is originally from College Station, but has been living in Houston TX since 2008. 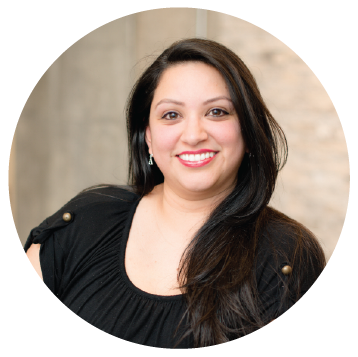 She graduated from Texas School of Business in Friendswood in 2009 and has since been in the dental field. Stacy’s number one focus at Discover Dental is to provide excellent customer service and ensure that the patients’ needs are satisfactorily met. When not at work, Stacy is busy tending to family. She and her husband Matthew have three boys and two girls. They enjoy outdoor activities, going to the beach, camping, and spending time with family and friends.